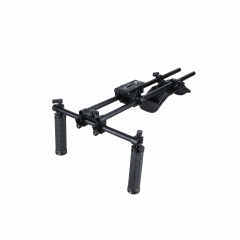 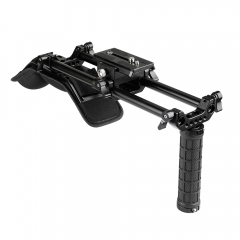 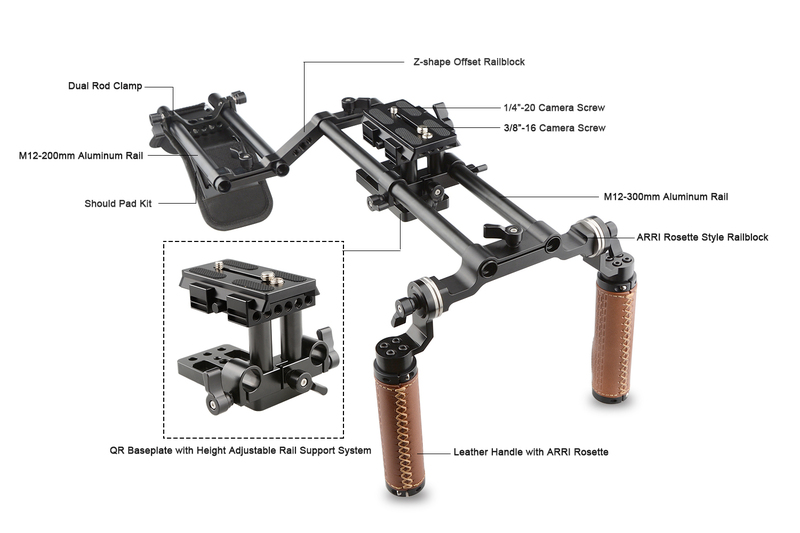 It is a video filming platform with balance, stability and comfort. 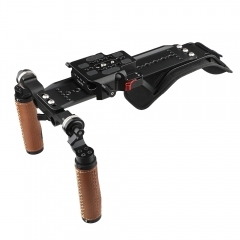 DSLR Shoulder Pad: Made of mute foam, very comfortable. 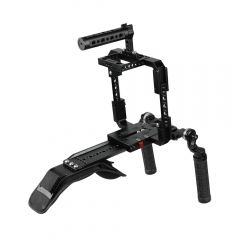 Z-Shape Bracket: Standard 15mm diameter holes, 60mm spacing; Raised height helps put the LCD screen of the camera right at eye level. 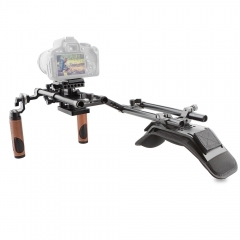 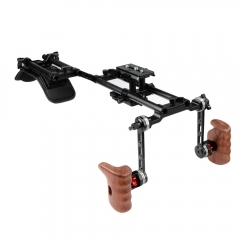 Quick Release Pack: Comes with 1/4"-20 camera screw that is easy to mount the camera; Allows height adjustment of the rail. 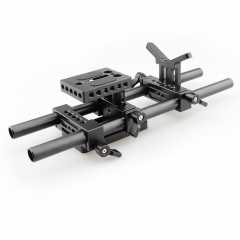 Tripod Mounting Plate: The plate provides 1/4"-20 and 3/8"-16 threaded holes for standard tripods. 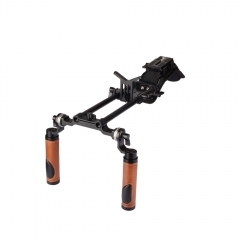 Handle Grips: Made of aluminum,convered with leather; ARRI rosette style design allows adjustment for comfortable holding. 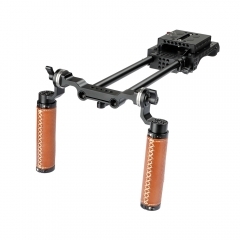 15mm Aluminum Rods: Made of high quality aluminum; M12 threaded on each end.